Descender with double locking and anti-panic system: self braking in case of accidental loss of descent control. 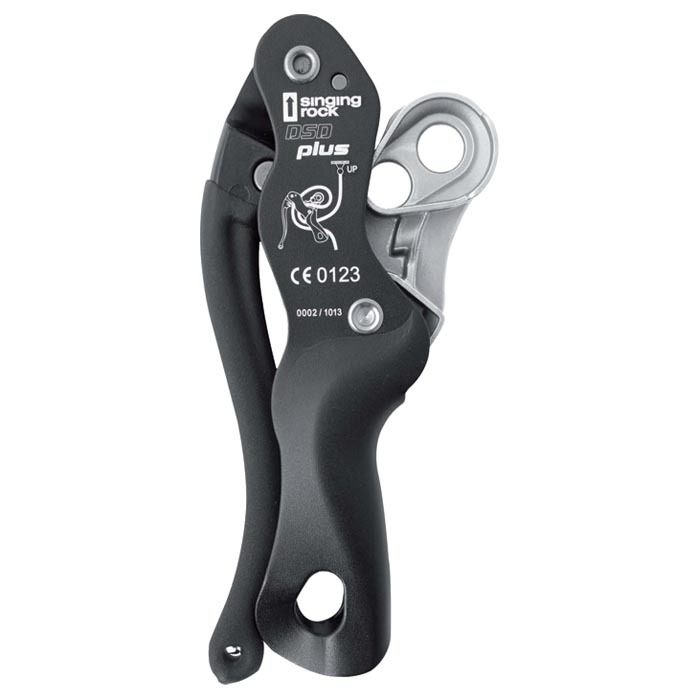 Sensitive rubberized handle enables smooth descent without harmful rope twisting. No movable flanges which makes it a robust and less likely for mistakes. No need to unclip the device for rope insertion. Also suitable for work at a height and for emergency self evacuation.